It's Caturday again! It's also 95 degrees outside, so don't expect to see much from me on here today apart from some even hotter pictures of celebrities and their cats. Yes, I know that's a crappy introduction, but I feel like I'm dying here. Where I come from even our cooked food doesn't reach this temperature. I thought about doing a top ten of horror celebrities with cats, but that would be far too easy by just dipping into my screencaps folders and pulling out scenes from horror movies where someone is in the same shot as a cat. I also want to save that for another time when I can concentrate better. 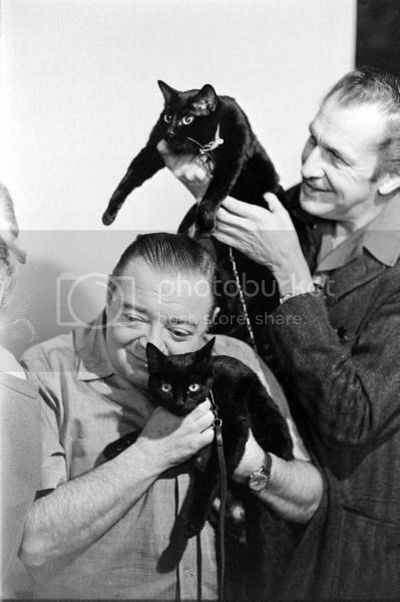 I even thought about posting up some behind the scenes stills from older horror movies such as the one below from "Tales of Terror" (1962) with Peter Lorre, Vincent Price and a couple of black cats. But that would be kind of boring really, especially if you don't know anything about the movie itself. Instead, I trawled the internet in search of some famous celebrities who aren't nearly so famous for horror or their feline adoration. I actually found hundreds of them. I could even go through some back issues of "Cat Fancy" magazine (yes, I subscribe) and pull out a couple of dozen more. I had to be selective though, and since I'm a rampant heterosexual, I decided to make the following list of twelve actresses and their cats. I may do another one for male celebrities next week, but we'll see how it goes. These aren't in any particular order except, perhaps, for the cuteness of the cat involved. If you believe that then you'll also believe that if you say "gullible" really slowly, it sounds like "orange". She was in "The Happening" (2008) which sort of counts as a horror film, but since I gave up on that idea, just look at the cute little kitten. Awww! 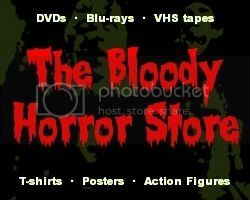 She's also never been in a horror movie although she's been in some simply horrible ones. Doesn't Penélope look good with a cat on her shoulder? Nearly everyone looks good with a cat on their shoulder though, even pirates. Harrr! Most famous for "Twin Peaks" but a lot sexier in "Meridian" (1990), Sherilyn Fenn has a really grumpy looking puss in this picture. The Persian doesn't look too happy either. The "House of Wax" (2005) star is obviously more famous for carrying nasty little yappy dogs around with her, but she also likes cats. I believe she has a "Munchkin" cat (one of those poor beasts which has been selectively bred with legs too short for its body) and several others. Ginger hair and a black cat? Obviously Nicole Kidman must be a witch! It's a good thing that we don't live in the 16th century anymore, isn't it? Currently most famous for being in "The Dark Knight" (2008), Maggie Gyllenhaal clearly loves her cat. That poor cat has a face that only a mother could love too. I watched Cameron Diaz in "The Box" (2009) recently, but I'm sure that isn't her only claim to fame apart from also being a nutter in "Vanilla Sky" (2001). Here she is with a vanilla cat though (a lot like my first white cat) which makes for a great picture. The cat's name is Little Man. 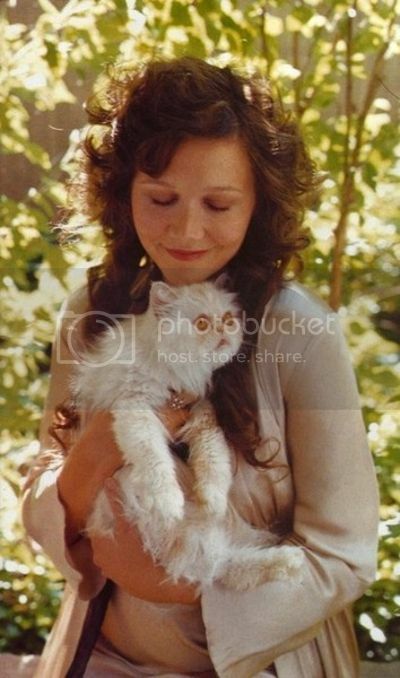 It's nice to see an older Drew Barrymore clutching a kitten, especially after all those publicity shots with General for "Cat's Eye" (1985) when she was a child herself. Start them young and they'll always be cat lovers. 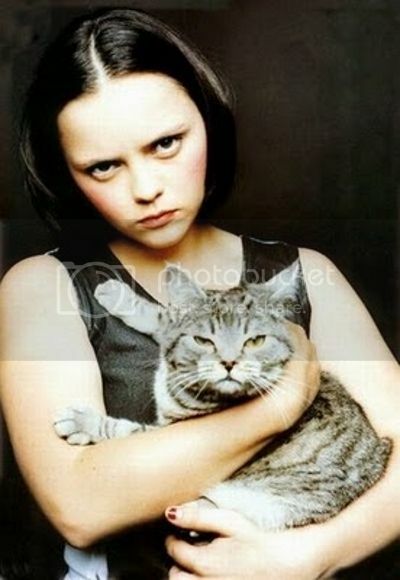 Either this is a still from "That Darned Cat" (1997) or Christina Ricci must have learned that she was going to be in that awful "Cursed" movie one day. I've seen this photograph credited as Christina and her very own cat so I'll go with that (especially as this is the scariest picture on the list!). I'm glad that Christina looks a lot better than this nowadays. Yes, she counts as an actress, sort of. She was good in "Die Another Day" (2002), wasn't she? There are other photos of Madonna with her cat, but I'm not sure about their legality. This one clearly came from Madonna.com so I'm making sure that I give both the credit and the link. 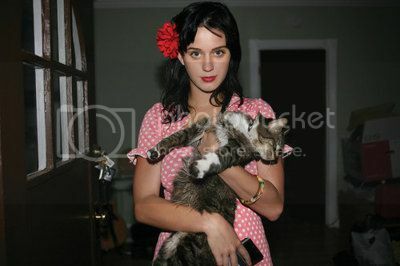 Mainly a popstar but with aspirations to be an actress, Katy Perry is now known for her love of cats. Strangely, there aren't many pictures of her online with a feline companion. This seems to be an older photograph, and the cat doesn't look too comfortable. Katy has confessed that she wasn't a cat person until fairly recently and it shows. The cat's name is Kitty Purry, of course. Okay, so this is a bit of a cop-out ending. I really wanted a picture of the late Audrey Hepburn with her own cat, but this on set shot of Audrey and "Cat" from "Breakfast at Tiffany's" (1961) will have to do. It's not the usual picture which a lot of these lists use anyway. As much as I would like to sit here all day posting pictures while I dehydrate, that's all for now, folks. If you are currently owned by a cat make sure that he or she has plenty of water today (and every day for that matter). Also, if you know that there are some strays where you live, stick some bowls of water outside for them too. You wouldn't want to be thirsty on a day like this, would you?